Mr. Hillhouse advises management and directors on the strategic options available to financial institutions. He has served clients on both the buy-side and sell-side in the negotiation and structuring of various transactions, including mergers and acquisitions, branch divestitures, and failed-bank acquisitions from the FDIC. 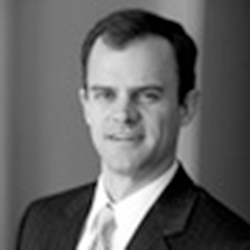 Prior to joining Hovde Group, Mr. Hillhouse was with Deloitte & Touche LLP in Atlanta, Georgia, where he provided assurance services to both public and private clients in a broad array of industries. These services primarily consisted of regular financial audit and Sarbanes-Oxley attestation engagements, but also included special projects for acquisitions and divestitures. Mr. Hillhouse focused on the manufacturing and consumer business industries and has experience in insurance, real estate, healthcare, aerospace, and defense, and media and telecommunications. A native of St. Louis, Missouri, Mr. Hillhouse earned his Bachelor of Arts in Economics and History from the University of Virginia and his Master of Science in Accountancy from Wake Forest University. He is former Certified Public Accountant and is registered with the Financial Industry Regulatory Authority (FINRA), holding both the Series 79 and 63 licenses. Mr. Hillhouse has volunteered for Hovde House in Mexico and Peru and participates in local charities.